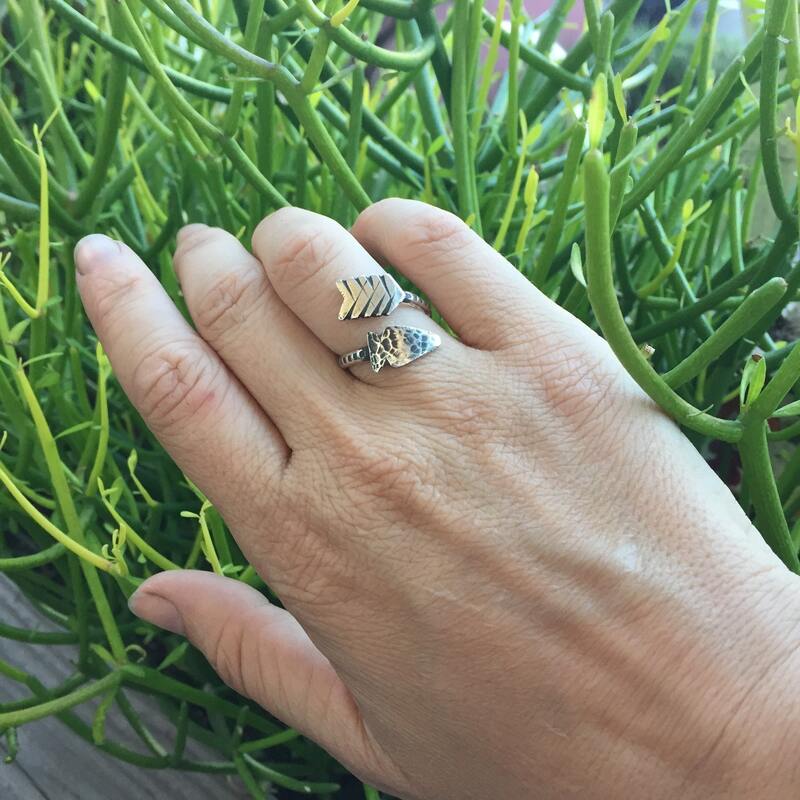 This ring is made to order in your size, please read through the entire listing before making a purchase. 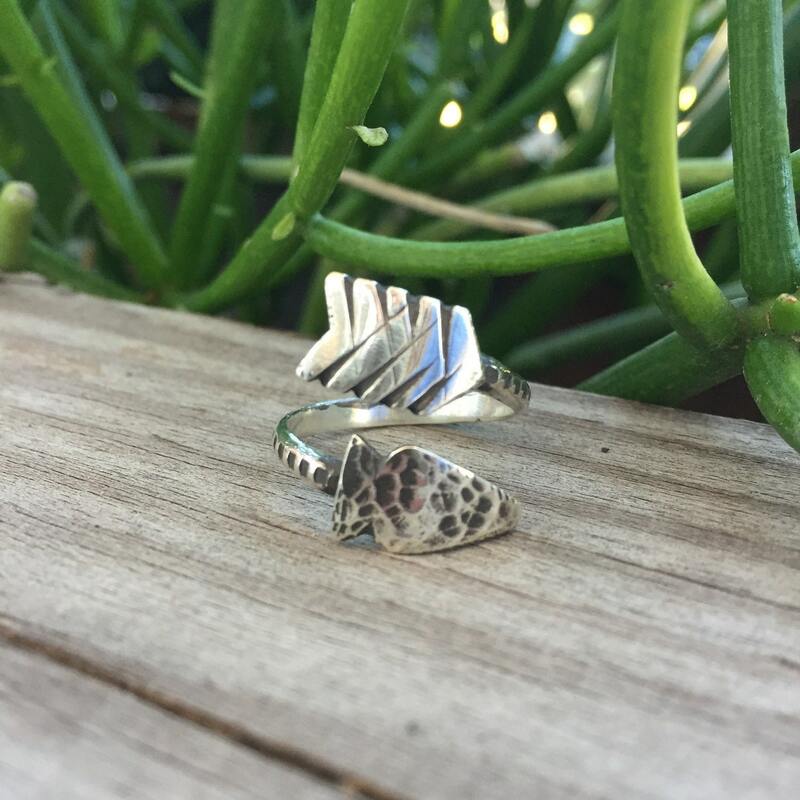 This ring began as a doodle, became an illustration which I turned into a template, I hand sawed it from sterling silver, then fabricated and finished it using traditional silversmithing techniques. 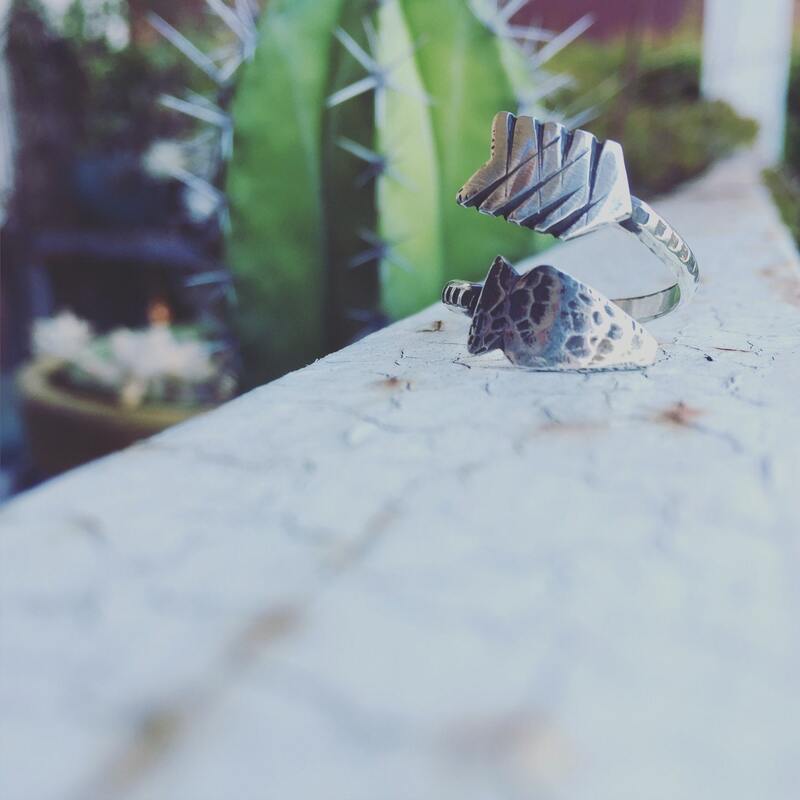 Each Arrow Wrap Ring is made by hand by me and will differ slightly from the photographs here. Please see the modeled ring picture for an idea of the scale. 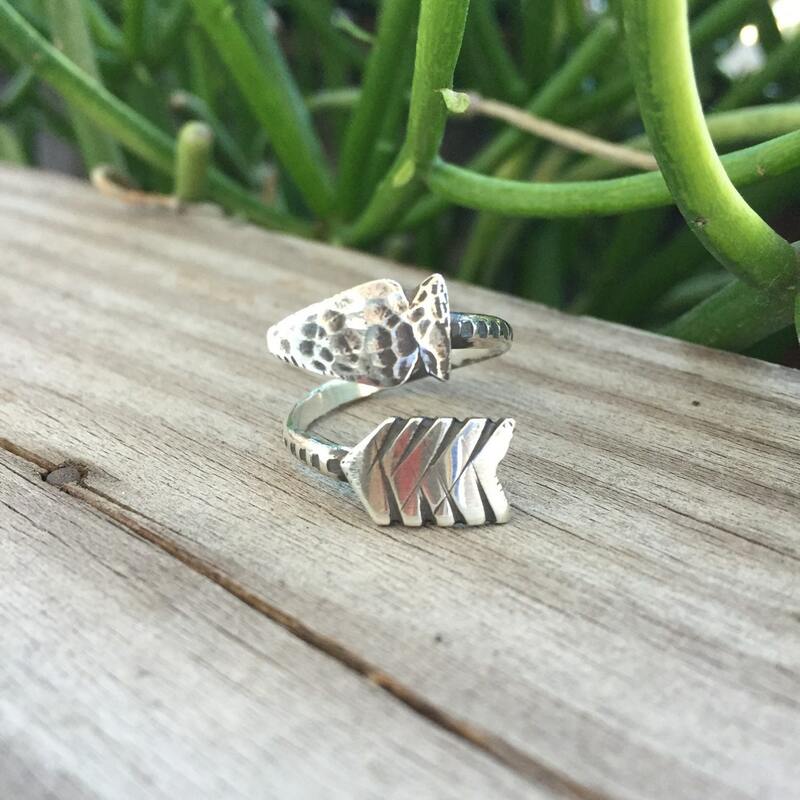 This ring is adjustable, please select your desired ring size from the drop down menu. Please don't hesitate to contact me for any reason! 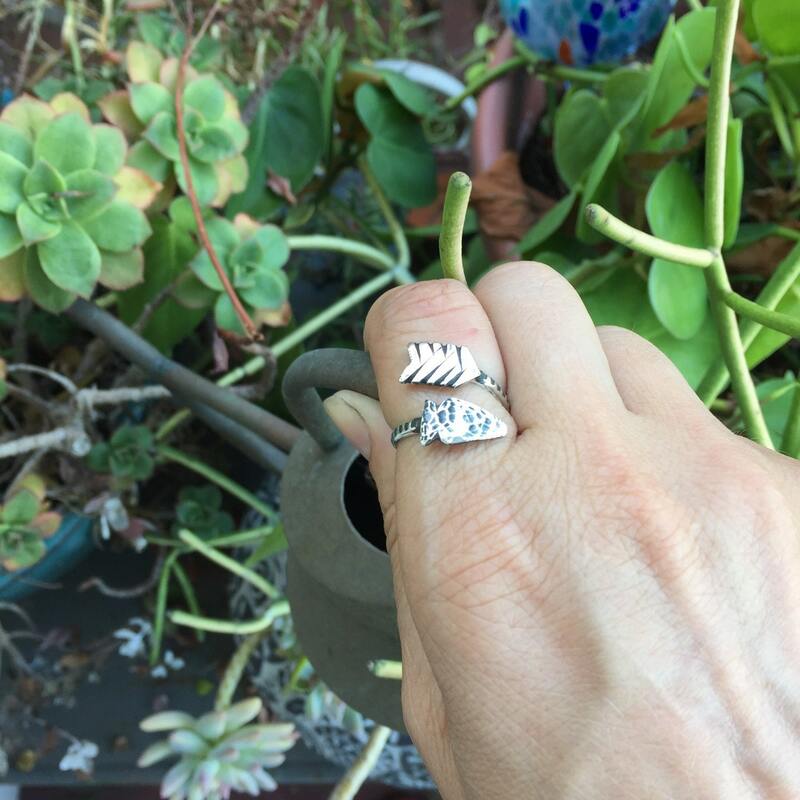 All Little Hobo Bird designs are handmade one at a time using traditional silversmithing tools and techniques. Each piece of jewelry is designed, created, finished, and packaged by me. All items come shipped in giftable packaging. Custom orders take 1-2 weeks to complete. Please contact me for rush pricing if you need your items sooner. Items are shipped USPS Priority shipping within the USA or USPS First Class International without insurance unless otherwise requested.